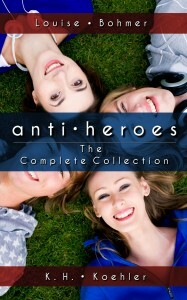 For those of you who still like to hold a physical book in your hands (and sniff deep of those toner fumes), Anti-Heroes The Complete Collection is now available in paperback. Click the book cover or the link here to grab a copy now. And for the ereader crowd, you can grab the collection at Amazon, Kobo, Nook, and Smashwords.